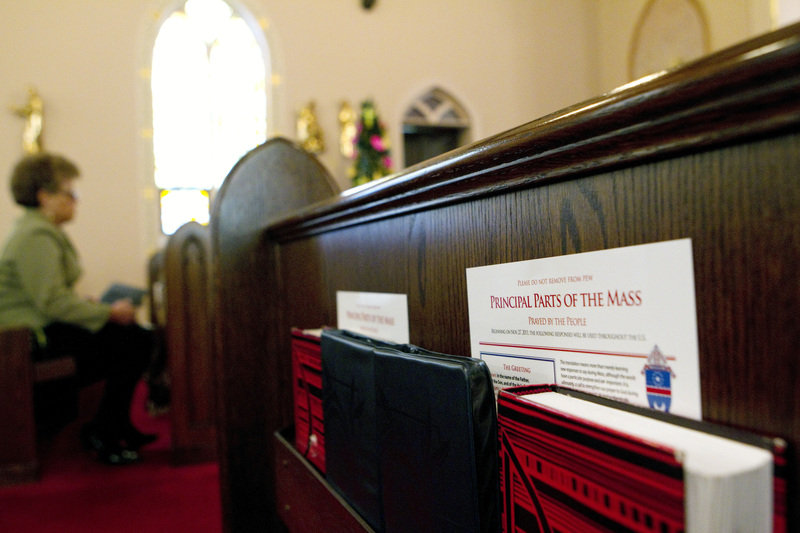 The question of who has appropriate responsibility for the translation of liturgical texts has been a kind of political football since the Second Vatican Council. On the one hand, the council clearly wanted that responsibility to rest mainly with episcopal conferences (i.e. national assemblies of bishops). On the other hand, even before the council ended, a Vatican instruction on implementing the liturgical reform put the weight of responsibility not on the national bishops conferences but on the recognition and confirmation of translated texts by the Holy See (i.e. the Congregation for Divine Worship and the Discipline of the Sacraments—as it is now known). In English-speaking countries this procedure did not seem to cause much concern during the first wave of translation (through the 1970’s). However, beginning with the second generation of revisions, especially the revision of “Pastoral Care of the Sick: Rites of Anointing and Viaticum” (1983), the Vatican began to become more proactive in scrutinizing translations sent to them. In the meantime the International Commission on English in the Liturgy made up of bishops of eleven English-speaking episcopal conferences continued to produce revised translations according to the principles laid out in the Congregation for Divine Worship and the Discipline of the Sacraments’ own document on translation, “Comme le Prévoit,” published in 1969. During the 80’s and 90’s relations between the Vatican and ICEL became more and more strained. A crucial moment came with ICEL’s new translation of the liturgical psalter in 1995. Three years later the Vatican forced the U.S. bishops conference to withdraw its approval (imprimatur) for the translation. In 1997 the Vatican responded to the proposed ICEL translation of the Rites of Ordination with a letter citing 114 errors and claiming that many more were found in the translation that had been sent to the Congregation for Divine Worship and the Discipline of the Sacraments. It should be noted that each episcopal conference needs to approve translations to be sent to Rome by a two-thirds vote. §2. It is for the Apostolic See to order the sacred liturgy of the universal Church, publish liturgical books, recognise adaptations approved by Conferences of Bishops according to the norm of law, and exercise vigilance that liturgical regulations are observed faithfully everywhere. Editor’s note: the author has clarified this article with respect to which changes to the Latin text fall under the authority of episcopal conferences and also which aspects of “Liturgiam Authenticam” stand in need of reinterpretation. This commentary makes two significant errors in its presentation of Magnum Principium. First, the "adaptions" of §2 do not refer to "significant changes to the original Latin text", as the author asserts. As the note to the motu proprio explicitly states, they refer to the "texts and elements that do not form part of the editio typica latina". That is, the liturgical "adaptions" spoken of in the new canon are the same as those foreseen by the Second Vatican Council in Sacrosanctum Concilium 37-42. Second, the statement that "'Liturgiam Authenticam' needs to be reinterpreted in light of the new document" is quite misleading. Here is the full next from the note: "The Instruction Liturgiam authenticam itself, which is to be appreciated for the attention it brings to bear on this complicated work and its implications, must be interpreted in the light of the new formulation of canon 838 when it speaks about seeking the recognitio." That is, as is abundantly clear when one reads the whole statement, the necessary reinterpretation is limited solely to the approval process, all other aspects of Liturgiam Authenticam remain in force. Fr. Pietrzyk, thank you for your comment; Fr. Baldovin has clarified his article in response to some of the questions you raised. Thank you. It seems he incorporated my second point but not, I think, my first. Nonetheless, I am grateful for the more accurate description of Magnum Principium on that more important point. Regrettably, there were many who were claiming that Liturgiam Authenticam's approach to liturgical translations had changed. Fortunately, Professor Baldovin's entirely correct description makes clear that this new document makes no change in the translation approach, which will still be done according to the norms of Liturgiam Authenticam. John F. Baldovin, S.J. is professor of historical and liturgical theology at the Boston College School of Theology and Ministry.